It takes a solid commitment to quality and sound relationships to succeed in the import and distribution industry, but only the most revered companies enjoy steady growth. 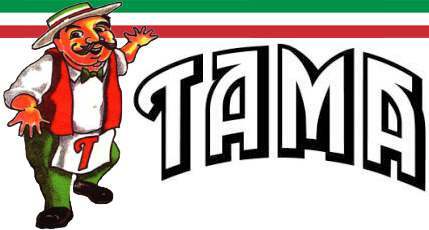 Tama Trading Co. Inc., a European foods importer and distributor based in Los Angeles, has continuously expanded since its inception 90 years ago. What began as a small specialty foods trading company established by six Italian immigrants in 1920 now is a full-scale, family owned business importing and distributing nearly 4,800 high-quality, international food items to more than 1,000 restaurant and retail clients in southern California, Hawaii, Utah and Nevada annually. CEO Will Sauro credits Tama Trading's success to its long-term relationships with vendors, customers and employees. "We have been representing certain companies overseas and locally for as long as our company has been doing business, in some instances longer than companies we deal with have been in existence." "Every time we get a new item, we develop a relationship with that supplier and give them our loyalty and support. It's extremely important to have a good relationship with your suppliers. One of the key things is to pay everybody on time and pay people within their terms. When you are a good payer, you are a desirable customer." "Vendors are everything in our business," says, President Bill Sauro. "Having exclusive arrangements with people is important in order to represent specific territories. Good relationships are hard to find these days, but a lot of the older companies we work with are good about holding strong on that, and that's important. Long-term relationships with vendors and suppliers are a must."